Site #69 is a grassy, sheltered, unserviced tent site which is adjacent to Site #68 - offering a convenient location for parties who wish to camp together. 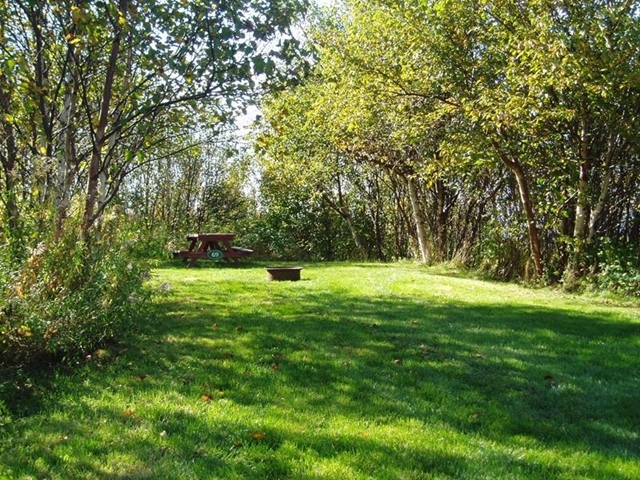 This site will accommodate one small to medium size tent and is equipped with a picnic table and fire ring. Drinking water taps, portable toilets and the common path to the shoreline are within easy walking distance. We truly have enjoyed our stay at "The Cove". This summer we have traveled over 5000 miles in the past two months since leaving our home in Surprise, Arizona. 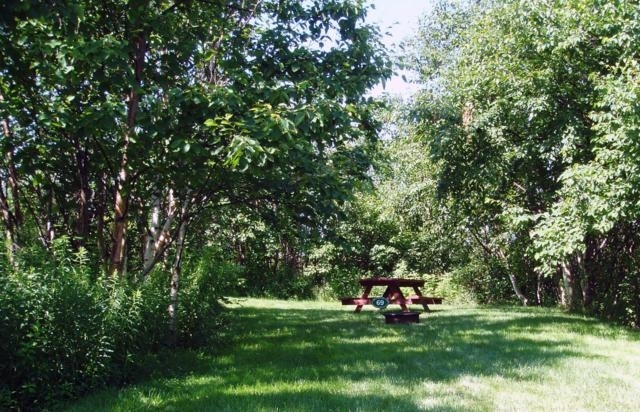 In our opinion we have yet to experience a campground with the caliber of hospitality, cleanliness, organization, and facilities in our ten years of RVing. Most of all is the fabulous ocean front view at many elevations giving all sites an awesome view. This aspect of "The Cove" is priceless!